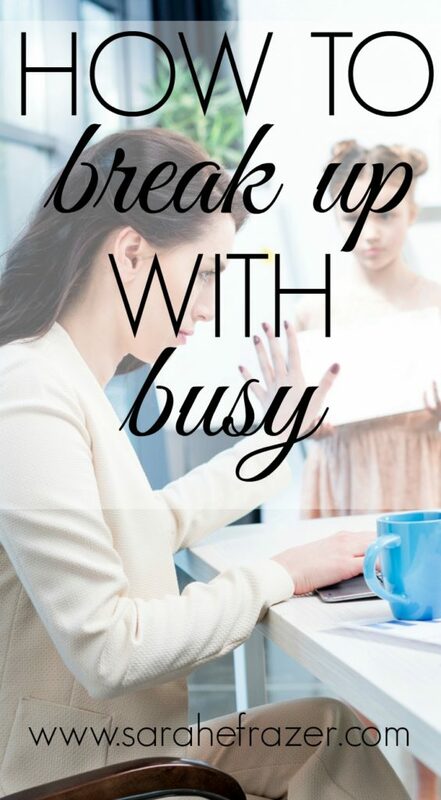 How to Break Up With Busy……. The light is tricky this time of year. It shines so bright and beautiful outside, the sun just screams warmth. When I walk outside and the air cuts through my skin and I shiver. Don’t get me wrong. I love sweater weather. I love boots, and scarves, and layering. But I don’t like to get deceived in thinking the sun is going to be warm, but then the air is chilly. The advent season is wonderful, but it is also a season we can be tricked. Maybe you are walking into a season of busy. Schedules are full and its the first week of the month. Bills are due, work is pressuring you, and maybe making it through a day exhausts you like nothing else. I’ve been there. And I know busy is so tempting to drag us down. We get discouraged and the joy of the Christmas/Thanksgiving season is lost. We get tricked into thinking a full life is a busy life. Just like the sun tries to trick me into thinking it will bring summer warmth, I can’t be deceived. I’ve got to prepare for the chilly air before walking out the door. So let’s break up with busy before it begins. I don’t know about you, but saying “no” to things sometimes isn’t an option. We have responsibilities and obligations. The busy season doesn’t mean we need to have a busy heart. I’ve found these three ways are perfect for breaking up with busy. Step One: Be still before God. Step Two: Break unnecessary habits. My husband is a night owl. I’m a morning person, but I try to accommodate his schedule. So I’ve gotten into the habit of staying up too late with him. I push “snooze” too many times and end up rushed in the mornings. No more. I’ve decided this unnecessary habit of staying up late will have to stop. It isn’t bad, but it is unnecessary because I realize I need sleep during this time. What unnecessary habit can you stop doing for this busy season? (Click here to get a free PDF on choosing the best for this Christmas). Step Three: Bring it to God in prayer. Prayer will be the key to resting this season. I find I worry and stress a lot during a busy season. I pray about things, but I don’t rest in those prayers. I share more here about resting, but for now, I wanted to share with you what I’m planning to do during this season. Each week, I’m praying for a specific person this busy season. It will help me focus on someone else, but also get my eyes off of my own worries and stress. What can you bring to God in prayer during this busy season? Christmas Pageants. Christmas dinners. Christmas cards. The season of giving, getting, and never-ending going. I don’t know about you, but my December calendar is already full. Every weekend we are going or doing something. I have presents to buy, wrap, and decorations to get up. Adding Christian school to the mix has complicated plans and just added more to our plate. We have family coming in and I’m all over the place when it comes to my devotional time. 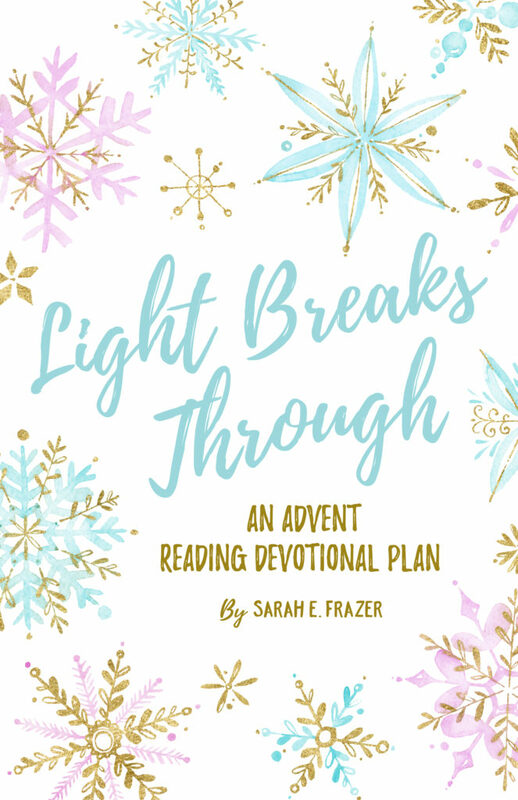 I created the Light Breaks Through Advent reading plan last year to provide an easy way to get in God’s word during a really busy Christmas season. This time, I’ve redesigned and repackaged the entire thing. I’ve included a TON of bonus options, such as coloring sheets, printable wall art, and even Christmas gift tags. The season of advent is one of joy and light and beauty, but sometimes it is overwhelming and dark and hard. Let God’s Light shine into this season, starting with your heart. The power of God’s Word is available to help light the way and break up with a busy heart this Christmas season. & Keri’s Simple Christmas Kit for a discount! Save $7 and order both! Check it out here. – Available for 5 days ONLY. Preparing Your Heart, Home, and Health for the Holidays. I love this, Sarah. I am all about slower living and purposeful and fulfilling living. Jesus invited both Mary and Martha to sit I am sure, but he Mary had found what was best over Martha’s worrying in her hustling. Thanks you for this and your devo looks amazing. I sat down with my new 2018 planner last night and started thinking through December, and I am so determined NOT to overschedule us this year. Thanks for all you do here. It’s always a joy to visit. Oh Sarah!!! How I needed that this morning!!! I definitely need to “break up with busy”!! Great, practical ideas here, Sarah! I find that I need to be intentional about slowing down during this season, as well. Otherwise it just gets away from you! 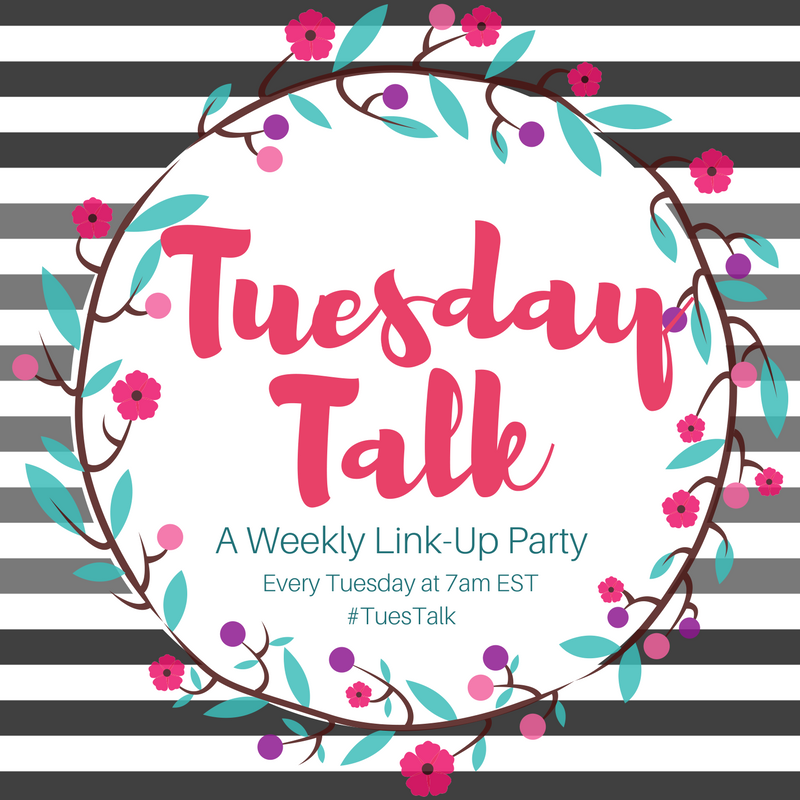 I ho.pe you saw that I nominated you for the “Liebster Award.” I posted it on the link-up today. Such a timely and important reminder! So grateful! Anything that is coming before God technically we are making into an idol. Just another way to look at it. God wants us in our quiet place everyday. Not part time or next time you can schedule it. Thanks for hosting! I’m a bit behind this week but it’s for a great reason! I’ve been breaking up with busy! It feels like a weight has lifted as I slowly and graciously step away from things that I should have said no to in the first place. Thank you for reminding me the importance of resting in His word.